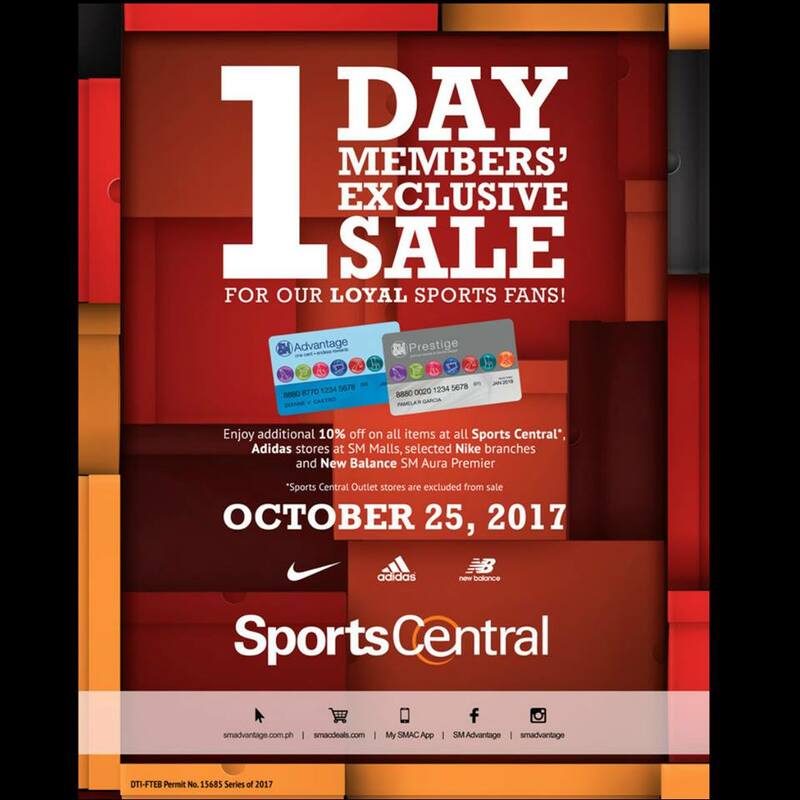 Check out Sports Central's One Day SMAC Exclusive Members' Sale on October 25, 2017 in all Sports Central stores nationwide! Just present your SM Advantage, SM Prestige, and BDO Rewards cards. 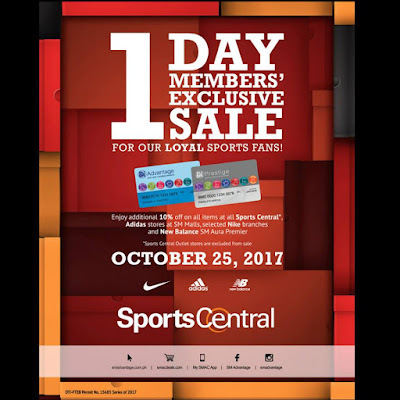 *Sports Central Outlet stores are not included in the promo. Participating brands: Nike, Adidas, New Balance, and more!